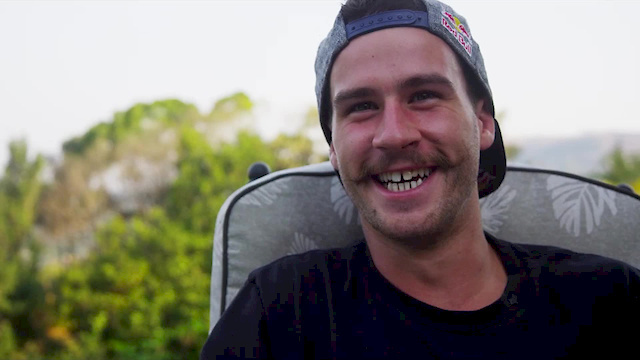 A Tribute to Stevie Smith: In memory of Stevie Smith: 1989-2016. Rainbow Mountain: My latest video featuring Blake Rountree. Shot in Rotorua, New Zealand. Evgeny Kurnikov California 2018: My Californian profile from spring 2018 Riders: Evgeny Kurnikov and Kirt Voreis. Camera: Matt Collins, Cam Collins, Shaun Taylor, and Cody Coax. Huge thanks to: the Collins family, Shaun Taylor, Justin Glass, Marley Carver, Cody Coax, Jake Kinney, Denis Sharov, and Pavel Peshin. Dave: A day with Dave. Enjoy! The Scottish Adventure - Part 1: During the summer, the Bird Cycle Works team, including Tom Dunn and Sean Luke, went on a Scottish adventure, touring some of the best southern hotspots surrounding the Tweed Valley. The Flannel Crew Year in Review - 2018: We had a hell of a year! Thanks to everyone that made it amazing. Annual Recap Video: From Evo Bike Park to Chatel, from Livigno to Monza. Hoping to shred even more in 2019! Enjoy. Why It's Almost Impossible to Ride a Bike 60 Kilometers in One Hour: The hour record for cycling is very simple. It's just one rider going as far as possible for one hour. WIRED's Robbie Gonzalez explores the physical power needed to push for 60 minutes and the equipment and track choices that can make or break the record. Cult Crew Down Under: We sent Veesh, Corey Walsh, and Dan Foley down under to get a taste with two legends: Benn Pigot who lives up to every bit of urban myth he is and we welcome Jason Watts to the squad who embodies everything in a true BMX brother there is. Pure BMX is what this edit is all about, good on ya boys. Eric Koston - ''Yeah Right!'' Part: *NSFW language. Nike SB Chronicles, Vol. 3 - Eric Koston: Eric Koston. What else is there to say? Nothing. Watch and enjoy. Do A Kickflip: When Koston asks, people kickflip. Weird Waves Season 1 - Great Lakes: What is a lake surfer? Are they different from you and I? Join host Dylan Graves on his quest to the “FREEZING GNARLS” of Duluth, Minnesota to find answers. Dylan links up with lake surfing specialist Burton Hathaway as they connect with the rest of the surfing community in the Great Lakes to experience the biggest winter storm of the season. Josh Hill - No Fluff: Everything from big hits to creative street gaps, this video shows some of the most technical dirt bike riding imaginable. Silver Linings - The Amazing Journey of Jessy Nelson: In August 2016, Troy Lee Designs/Red Bull KTM star Jessy Nelson suffered a paralyzing injury during a round of the AMA Pro Motocross series. Silver Linings chronicles Jessy’s journey through the most difficult challenge of his life, and his newfound racing motivation in the form of professional UTV racing. His determination for victory unchecked, Jessy tackles life’s next chapter with the same competitive spirit that put him at the top of the motocross food chain. How They Filmed the First El Capitan Climb With No Ropes: Elizabeth Chai Vasarhelyi and Jimmy Chin, the directors of the documentary “Free Solo,” discuss how they captured rock climber Alex Honnold’s free solo climb (without any ropes, harnesses or protective equipment) of Yosemite’s El Capitan in June 2017. The film crew was challenged to record his incredible achievement without affecting Honnold’s climb. ''Together Forever'' - A Vans Snowboarding Film: Together Forever, is an action-packed Vans Snow team opus filmed primarily on Kodak 16mm film on location in Japan, France, Russia, and Finland. Together Forever follows a group of individuals-turned-family as they travel the world and do what they love most. Starring: Dillon Ojo, Jake Kuyzk, Pat Moore, Sam Taxwood, Danimals, Parker Szumowski, Cole Navin, Arthur Longo, and Blake Paul. The Fifty - Ep. 1. Intro & Messner Couloir: Introducing The Fifty. A project to climb and ski all 50 lines chronicled in the book, "The Fifty Classic Descents of North America" by Chris Davenport, Penn Newhard, and Art Burrows. Over the next three years I, Cody Townsend, will be chronicling the adventures, challenges, and travels around North America skiing a collection of the most aesthetic, spectacular, and difficult lines in North America. Episode 1 details the plans and the first line ticked off on the adventure, the Messner Couloir on Denali, the highest mountain in North America. Salomon TV - Dream Trip Georgia: In the final instalment of the Freeski Dream Trip series, American Michael 'Z-Bo' Zaretzke chooses a journey to the country of Georgia with Stan Rey and Josh Daiek. Although there were a few bumps along the way, Georgia delivers exactly what the crew was looking for. Featuring: Stan Rey, Josh Daiek, and Michael Zaretzke. Mission Antarctica: In 2008 Xavier de Le Rue, multiple freeride world champion and two times Olympian returned from a trip to Antarctica with mixed feelings, although he had the experience of a lifetime and discovered a new paradise he believed he had only scratched the surface of it. Since then, he worked on going back with his filming crew on a small boat to be completely independent. This documentary is about an expedition to the world’s end, a fair mix of navigation, mountaineering, snowboarding, wild life, and unexpected discoveries.